A recent study by Advisor Impact examined how and why people refer their insurance agency to others. They found that 98% of personal recommendations occur when a client recognized an opportunity to help their friends and family. When you consider how these referrals are made, it’s easy to see why flat out asking for referrals seldom works. Unlike online reviews or testimonials written for public consumption, personal recommendations require the client to know someone that has a current need for an insurance agent. These opportunities are brief and pop up around the water cooler, at birthday parties, on social media, or the like. Even an agency’s most staunch promoter is unlikely to known someone, at any one point in time, that they can refer to their agent. When you look at why people are recommending their insurance agent, you find that clients are motivated by the desire to help people close to them. Clients enjoy the thought of their friends and family benefiting from a service that they recommended. It makes them feel good about themselves. But only if they truly feel like their motives were genuine. Agents that have dabbled with incentive-based referrals programs can attest to this. As soon as a price tag is put on a referral, clients clam up because it strips away the sincerity of the recommendation itself. I know what you’re thinking. If asking your clients for people to reach out to doesn’t work, and neither does offering incentives, then how are you supposed to go about collecting more personal recommendations? The first step is to give your clients a reason—or many reasons—to recommend you in the first place. Easy enough, right? Well it can be, if you know how to keep your clients happy. At Rocket Referrals we conducted a study across several hundred insurance agencies and looked at what issues were most important to their clients. Of the promoters (clients willing to recommend) two-thirds indicated that their agent was referral–worthy because they were great communicators. It turns out that clients like to hear from their agent throughout the year. It reassures them that they’re being cared for behind the scenes – and, frankly, gives the impression that they are receiving the service they’re paying for. Our research also showed that a client’s attitude toward their agency is not static. Even if a customer reaches promoter status they’re not guaranteed to be a promoter for life. In fact, the majority of an agency’s disgruntled clients were, at one time, willing to recommend them to others. This highlights the importance of communicating with clients several times throughout the year outside of claims and renewals. The more personal and meaningful the communication the greater the impact will be on your clients. Now that your book of business is stocked with promoters you can focus on getting them to share you with others. The thing is, you can’t know exactly when a client will recognize an opportunity to recommend you. That’s why certain calls to action, like asking for names to call on, rarely works. Instead, create a referral mindset within your client base so that they’re inspired to recommend you when the time is right. This entails using language that plays to their motivation for recommending you, which is to help their friends and family. For example, the welcome cards that Rocket Referrals sends to an agency’s clients includes the following: “I truly enjoy sharing my experience and helping others. If your friends and family ever have questions or need advice have them call me directly. I’ll take extra care.” The purpose is to show the client that you want to help their loved ones, and that by recommending you, you’ll have the opportunity to do so. In contrast, agents sometimes say things like “a referral is the best form of compliment you can give me,” or “refer me and receive a $20 gift card!” Language like this is actually counterproductive because it sends the wrong message to clients regarding your intentions. Is the purpose of the referral to pay the agent a compliment, line the client’s pocket, or to genuinely help their friends and family? Clients that have recommended you once are likely to do so again. That is, if you show them thanks. We recommend sending every customer that refers a handwritten thank you card. Let them know that you appreciate their recommendation and reassure them that you’ll take care of their loved one. You can even include a gift card as a bonus – but it needs to be positioned as an unexpected gift, rather than an incentive. 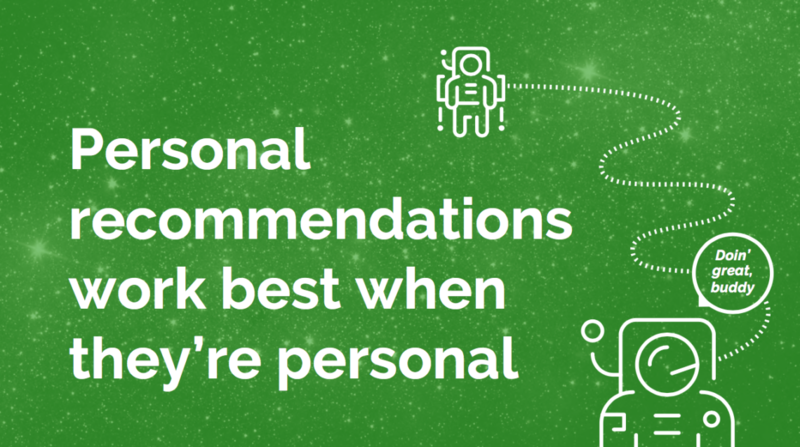 Do these things and you can expect to see an uptick in personal recommendations over time. Keep in mind that this strategy is about building relationships through improved communication. Give it some time, stay the course, and you’ll enjoy a more giving client base.